Don’t call it a hidden gem. Located in a scenic pocket of Oregon’s Willamette Valley, McMinnville is a historic, flourishing city full of things for people of all ages to eat, drink, see, and experience. To effectively curate and promote everything their city has to offer, Visit McMinnville turned to the digital developers, designers, and strategists at Daylight. 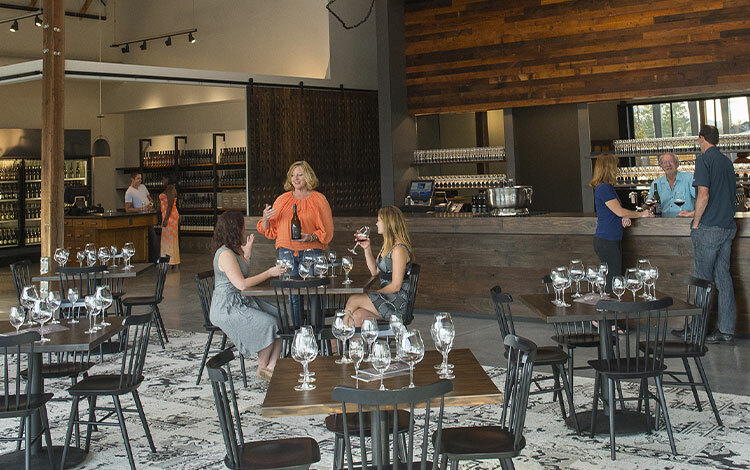 Between hundreds of restaurants, lodging establishments, shops, trails, and festivals—not to mention 250 Willamette Valley wineries and vineyards within 20 miles of town—there’s no shortage of experiences for visitors to enjoy in and around McMinnville. Managing and organizing all the information associated with these experiences, however, posed a monumental challenge for the city’s tourism agency. 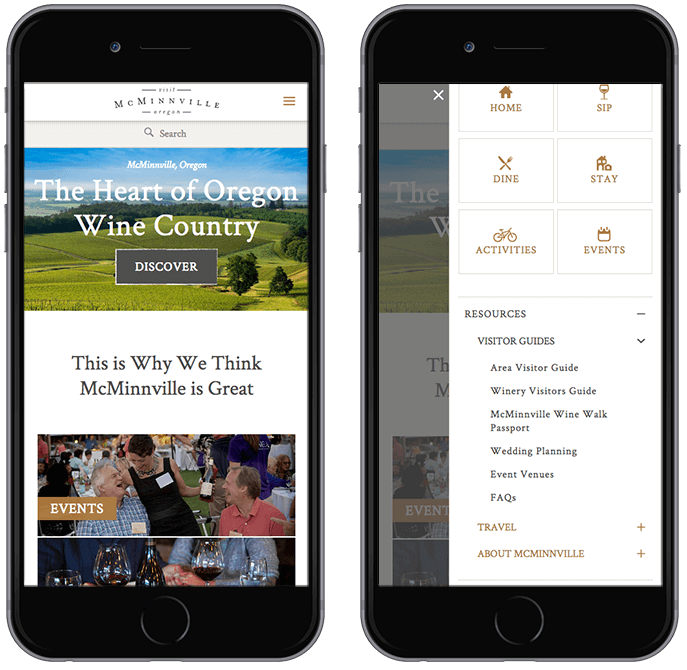 After analyzing competitors’ websites, the Visit McMinnville team decided they wanted to completely overhaul the ways in which visitors and residents navigated their listings. That’s where we came in. Daylight has worked with Visit McMinnville on several design and development projects, including a previous update to VisitMcMinville.org. 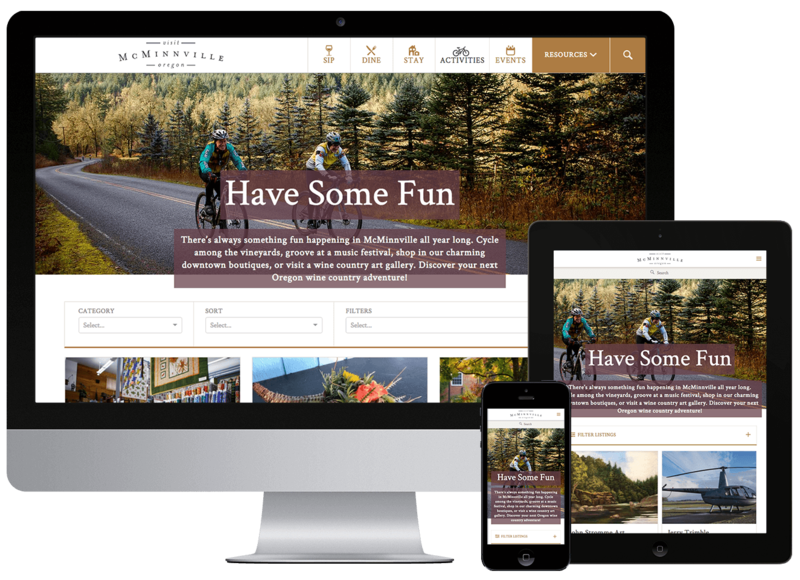 For this project, the Visit McMinnville team told us they wanted to provide website visitors with a first-class experience. In years past, visitors only had two options when browsing the site’s directory: they could sort listings alphabetically… or reverse alphabetically. Visit McMinnville knew they needed to empower users to view and filter listings based on category, as well as criteria such as family friendliness, bike parking availability, disability accessibility, and other important considerations. 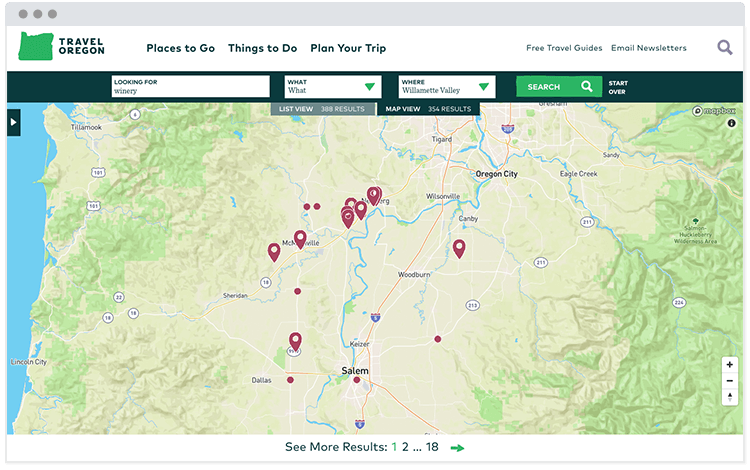 As we were discussing data management options with the client, a moment of serendipity occured: Travel Oregon, which provides data for destinations throughout the state, announced the launch of its new database, the Oregon Tourism Information System (OTIS). In contrast to the state’s earlier system, OTIS was built to allow Travel Oregon affiliates to take on active roles in managing tourism information, resulting in a more robust and accurate data set. Visit McMinnville soon won a grant to integrate with OTIS, becoming one of the first organizations to implement and contribute to this new data platform. Armed with the information architecture they needed, the Visit McMinnville team turned to Daylight to handle the transition to OTIS. Taking Visit McMinnville’s user navigation requirements into account, we suggested a clean installation of WordPress, with custom backend and frontend development that would make the site more agile and full-featured, and give the team complete flexibility and responsiveness for years to come. 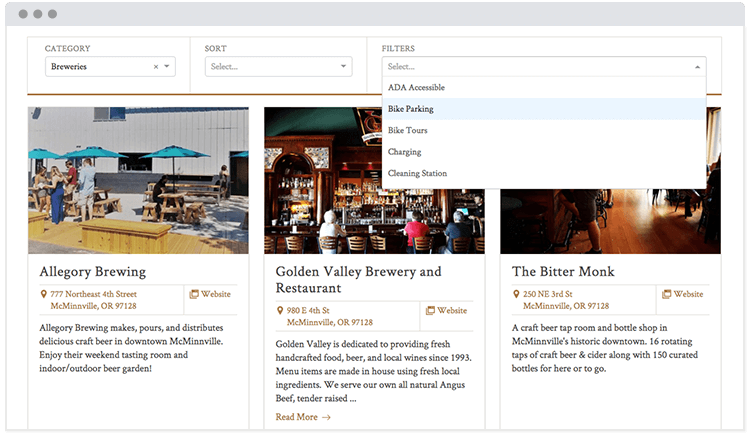 To meet Visit McMinnville’s prerequisite for improved visitor navigation, our backend development team collaborated with Travel Oregon and created a custom data stream to pull OTIS content into WordPress, for additional data management and organization. Throughout the process, we worked with Travel Oregon to further optimize the OTIS API feed for future users. The icing on the cake? An additional component in an already-powerful system: Because OTIS data can change daily, we created a syncing function to check for updates at regular intervals. Once the database was in place, our frontend development team overhauled the site’s main menu, optimizing navigation for the target audience. We started with a redesigned header, bringing the directory to the forefront with single-click, action-oriented listing categories: “Sip,” “Dine,” “Stay,” “Activities,” “Events” and a “Resources” drop-down menu. 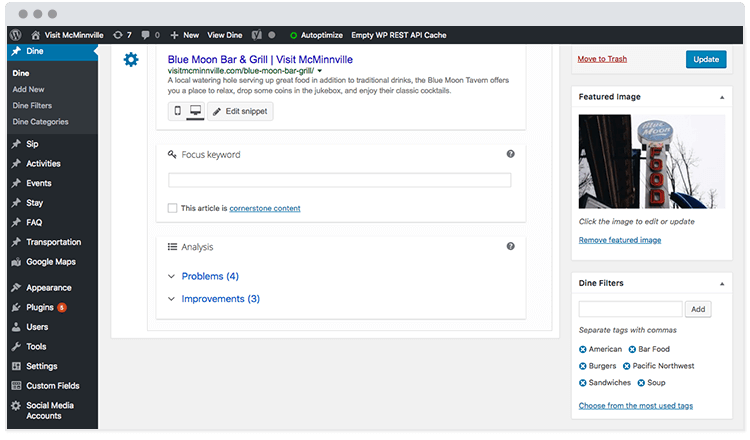 Main menu planning necessitated substantial sitemap reconfiguration to correspond with the updated navigation paths and serve every user’s search for relevant content. 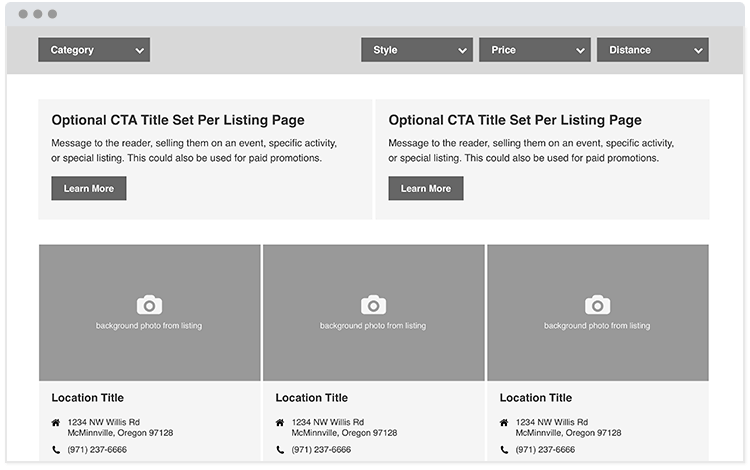 To meet Visit McMinnville’s key initiative for the project—advanced filtering capabilities for listings—Daylight designed and developed a filter bar. Users can now find amenities such as complimentary water, long-term parking, sustainable travel, and pet accommodations in just one click. We also added popular category links to the homepage to allow users to immediately access the most relevant content. 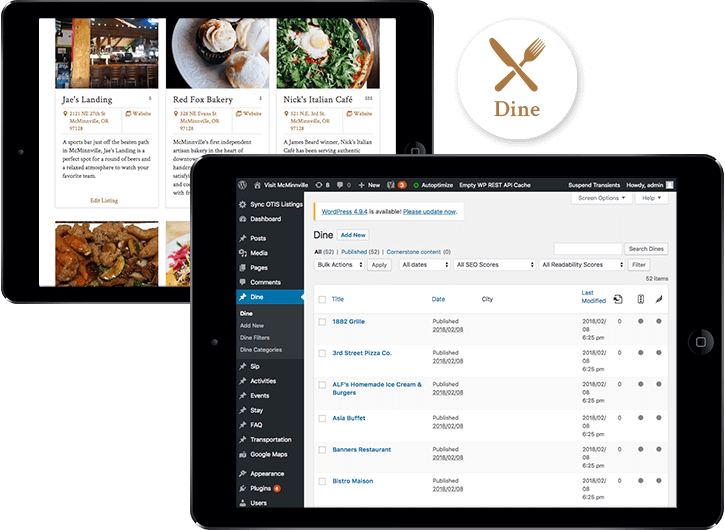 These functions are supported with a clean administrative interface, which allows the Visit McMinnville team to easily and painlessly keep listings, events, blog posts, and promotions up to date. While we revamped their site, we were careful not to neglect Visit McMinnville’s existing visual library. Building on the client’s branding, we provided expertise in content creation and optimized pages for fast loading, readability, and depth. The result was a familiar-feeling, but richer and more streamlined website that’s easier to use, read, and update. Now, Visit McMinnville has the capacity to focus on what they do best: bringing the world everything this not-so-hidden gem has to offer.